Life in Central Europe has, for most of its inhabitants, improved substantially in recent years. When measured against virtually all metrics, things are better now than at any other point since the fall of communism. Life expectancy in Poland has risen from 71.04 in 1989 to 77.8 today, and over the same period, Hungary’s GDP has more than quadrupled. Today, the average salary for a citizen of the Czech Republic or Slovakia will buy them more bread, milk and other essentials than if they were still living behind the Iron Curtain. The aforementioned nations – the so-called Visegrád Group – owe some of their development to their EU membership, granted in 2004, which gave them access to new markets and billions of euros in funding. By and large, prospects are still good for the region: the economies of these four countries grew by 4.5 percent on average last year. Nevertheless, emerging problems indicate that complacency would be a significant error. Under the EU’s principle of free movement, Central European countries have exported workers to more developed economies further west. Skilled and unskilled citizens alike ply their trades abroad, earning higher wages and, at the same time, benefitting culturally from experiencing life in another country. In addition, they help support their family and friends by sending money back home. In 2017, remittances represented 1.3 percent of Poland’s GDP and 3.3 percent of Hungary’s. For a number of years, this approach worked fairly well for all parties: Western Europe gained access to a bountiful supply of cheap labour, workers from abroad benefitted from higher levels of remuneration, and the economies of their home countries received a boost. However, if not broken, this model certainly has a few cracks appearing. Unemployment across the Visegrád Group has fallen sharply in recent years, averaging just over four percent as of August 2018. This is significantly lower than the EU average of 6.7 percent, and continues to fall. Since joining the EU, countries like Poland and the Czech Republic have become more closely integrated with the continent’s economy: they have attracted large numbers of foreign investors keen to benefit from the supply of cheap, but well-educated, labourers. It is becoming increasingly clear that while this supply may be plentiful, it is not bottomless. According to Eurostat, in the second quarter of this year, 43.2 percent of industrial companies in the Czech Republic stated that labour shortages would restrict their output. In Poland, a figure of 49.7 percent was recorded and, in Hungary, 86.6 percent. When workforce supply can’t meet business demand, it results in market inefficiencies that could cause issues further down the line. Quietly, the challenges provided by a tight labour force are beginning to be felt in other industries too. Automotive firms, technology companies and construction businesses have all recently recorded difficulties in recruiting new members of staff. A tight labour market is, of course, good news for Central European workers in the short term – particularly those who can remember unemployment rates hovering around the 20 percent mark in the early 2000s. With businesses struggling to fill vacancies, potential job candidates are placed in much stronger bargaining positions. Recruitment difficulties have already resulted in a marked increase in wages. Looking at the second quarter of 2018, labour costs have risen year-on-year by 6.2 percent in Poland, 7.9 percent in Slovakia, 9.3 percent in the Czech Republic and 10.2 percent in Hungary. The EU average for the same period was just 2.6 percent. Where businesses have proven unwilling or slow to implement wage rises, discontent has fostered. In June 2017, strikers at Volkswagen’s Bratislava factory demanded a 16 percent pay rise. Their efforts paid off, with workers eventually receiving a 14 percent increase. Dissatisfaction has been seen elsewhere across the region too, with staff understandably aggrieved that multinationals are paying them less money than workers in Western Europe doing the same job. Higher wages may cut into business margins, but the inability to fill positions in the first place is more concerning. Free movement in the EU has allowed workers, both skilled and unskilled, to leave the Visegrád countries in search of better salaries. More often than not, it is younger, higher-educated workers that leave. 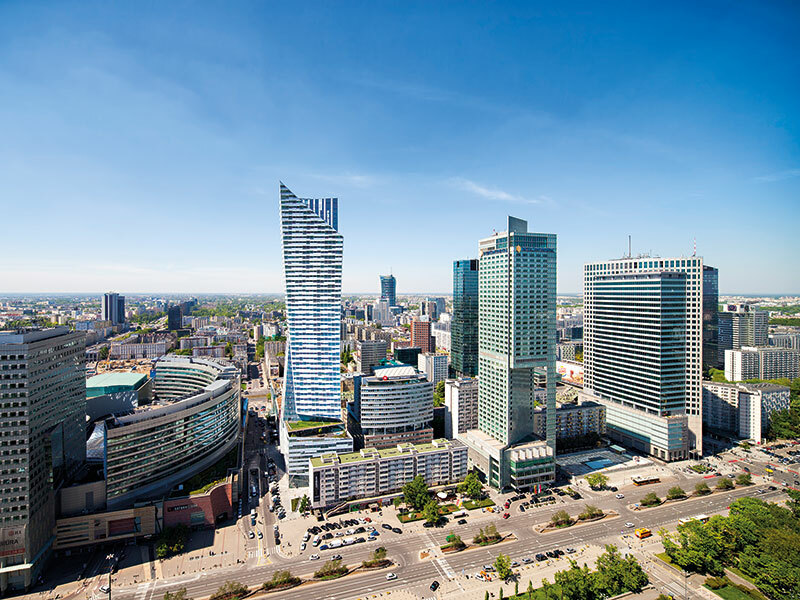 According to the IMF, around 30 percent of Polish emigrants have received a tertiary education – around twice the proportion of the general populace. Raising wages may deter some from leaving, but it might not be enough to entice talented individuals who have already left to return. A tight labour market may bring wage increases, but it is not unequivocally good: just as businesses have decided to open up factories in Central Europe to take advantage of inexpensive labour, they could just as easily move elsewhere for the same reasons. For many years, the economic model of countries like Poland and Hungary has been a low-wage one. A tight labour market threatens this. Central Europe could become a victim of its own success. The years to come will require politicians and corporations to pull off a delicate balancing act. Workers who are not willing to travel abroad for higher wages will not be content to receive lower salaries for much longer. Businesses will need to make concessions to placate an increasingly agitated workforce, and many of them have the budget to do so – after all, labour costs in Central and Eastern Europe are still significantly lower than they are further west. At the same time, employees should be careful not to overplay their hand. If wages outstrip productivity in the region, foreign investment will surely dry up. To avoid a difficult economic future, Central European countries need to shake up their existing economic model, focusing on higher levels of education, greater efficiency and the removal of bureaucratic burdens. An influx of migrant workers would also help with tight labour markets, but the political climate in the Visegrád Group makes this unlikely. Globalisation has enabled people from Poland, Slovakia, Hungary and the Czech Republic to enjoy higher living standards, but its drawbacks are now becoming apparent. If labour shortages drive up wages too much, then investment may simply move from these countries to cheaper markets. Governments should start preparing for this issue now because, as they well know, capital cares little for national borders.